Spain~Looking Out The Window. . Wallpaper and background images in the Hetalia Spain club tagged: hetalia antonio fernandez cerriedo hetalia spain hetalia axis powers. 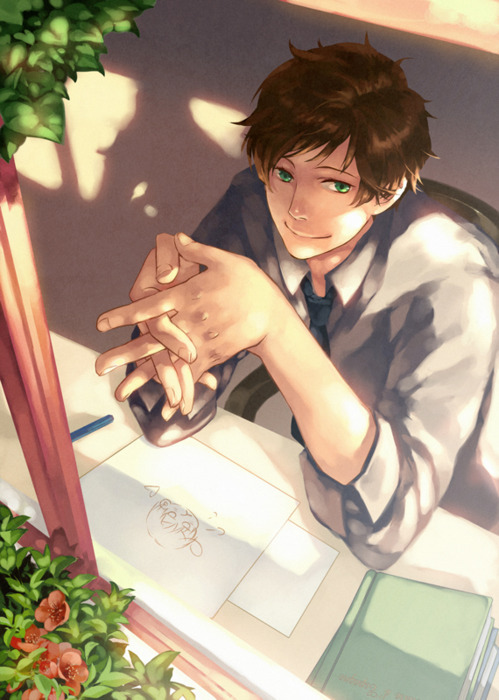 This Hetalia Spain fan art contains bouquet, corsage, posy, and nosegay. There might also be signe, affiche, texte, tableau noir, tableau, affiches, dîner de vacances, and repas de fête.